My work hours drop in the winter? How does that affect my bankruptcy? It depends on where you are in your bankruptcy. 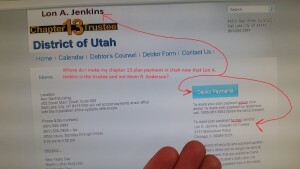 If you’re already in a chapter 13, making monthly payments to the bk trustee, then this could really hurt you. Your plan payment doesn’t change on the months your income drops, and you may want to contact your attorney right away to let him/her know what’s going on. If you are preparing for bankruptcy, the drop in hours is probably a good thing. We run a 6 month average of your income called the means test. Generally, if your income is above median, then you need to file a chapter 13 case to pay your creditors back. If it’s below median, then you can qualify for a more simple chapter 7, which is generally done in 4 months with no repayment to creditors. 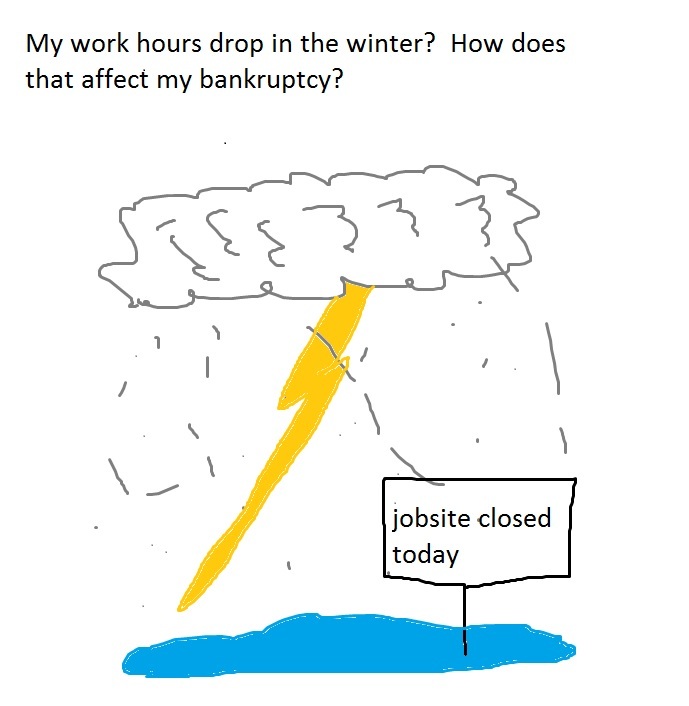 So if your hours are dropping, it just may be a good thing, at least for your bankruptcy forms. This entry was posted in Utah Bankruptcy on October 19, 2015 by robertspaynelaw. 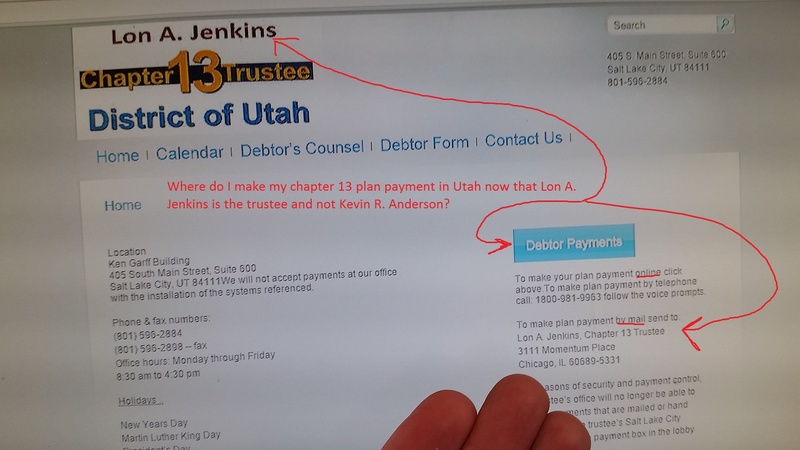 Where do I make my chapter 13 plan payment in Utah now that Lon A. Jenkins is the trustee and not Kevin R. Anderson? But things have changed, as of September 4, 2015. 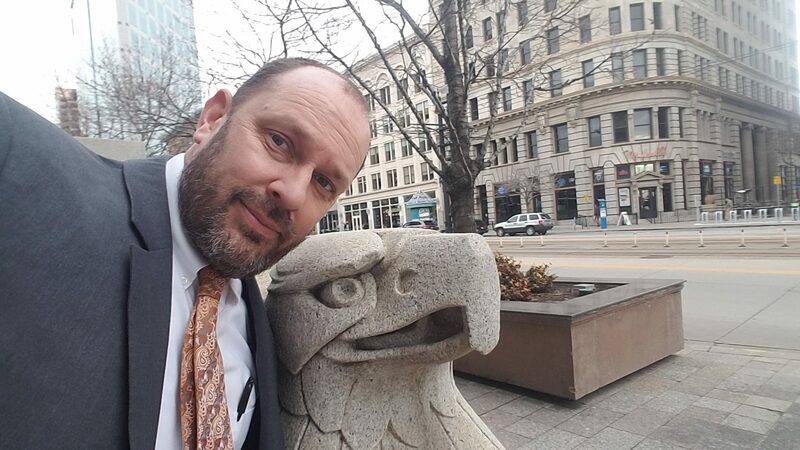 Effective September 4, 2015, Kevin R. Anderson will resign as the Standing Chapter 13 Trustee for the District of Utah and the United States Trustee will appoint Lon A. Jenkins as the successor Chapter 13 Trustee for the District of Utah. The email domain name will change from @ch13kra.com to @ch13ut.org, and the general trustee email address will change from kratrusteemail@ch13kra.com to utahtrusteemail@ch13ut.org. with the installation of the systems referenced. To make your plan payment online click above.To make plan payment by telephone call: 1800-981-9963 follow the voice prompts. For reasons of security and payment control, the trustee’s office will no longer be able to accept payments that are mailed or hand delivered to the trustee’s Salt Lake City address, and the payment box in the lobby will be closed. This entry was posted in Utah Bankruptcy on October 6, 2015 by robertspaynelaw. Was that collection call real or just a scam? (I’m scared). It was a scam. 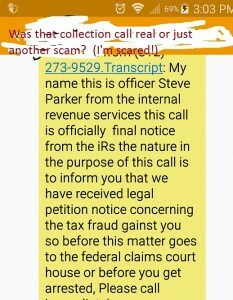 There is no Steve Parker with the IRS calling my son from a strange phone number. My son has never even worked hard enough to have to pay taxes yet. Sigh. 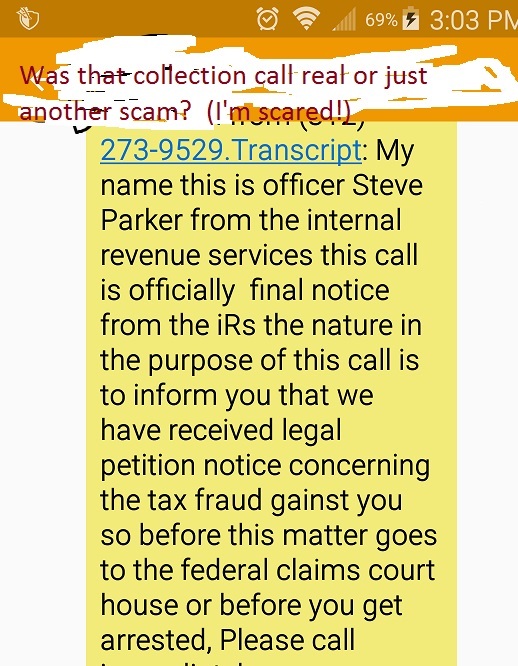 The worst thing is that this is a pretty normal format for a scare-tactic kind of collection call. There is a false badge of authority (IRS) with a vague threat of arrest or court action. I am sure that if you call back, they will threaten you until you give a debit card number and agree to some kind of payment plan. The problem is that it can be hard to know if it is a scam or not. Some of them (like this one), are so ridiculous that it can’t be real. However, the easiest way to find out is NOT to call the number. I like to run a simple google search for the phone number to see if it has been linked to scam collection calls. This one had. a google search gave results ranging from an IRS scare to a generic “paralegal” claiming that someone had an arrest warrant for failure to pay a medical bill. In my experience, if it is a call from a collector, then the don’t have pending criminal charges against you. First, they need to sue you and then go through the normal legal steps to collect. It is possible that you may get a civil arrest warrant down the road for failure to pay the judgment after failing to attend a court hearing, but that is very different from “being arrested” for failing to call this number back. This entry was posted in Utah Bankruptcy on October 5, 2015 by robertspaynelaw.